It’s no secret that guys have it better than the ladies when it comes to sneakers. But sometimes women’s designs hit it straight out of the park, and the bigger footed gents cry real tears over some of the dopest pairs of the season. Cue those tears because these are unbeatable. 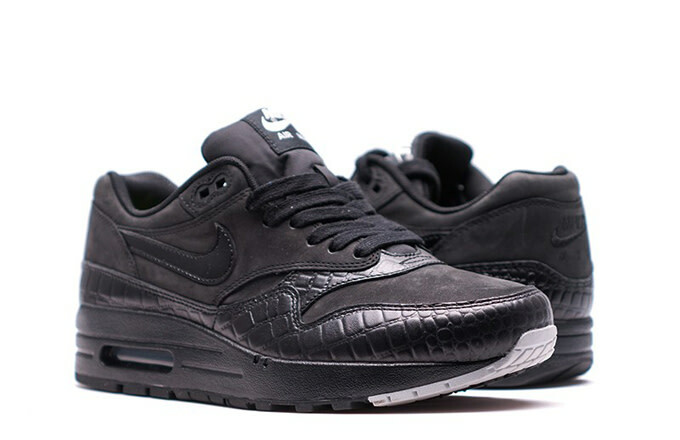 The Nike Air Max Premium “Black/Metallic” pack is something for the history books. 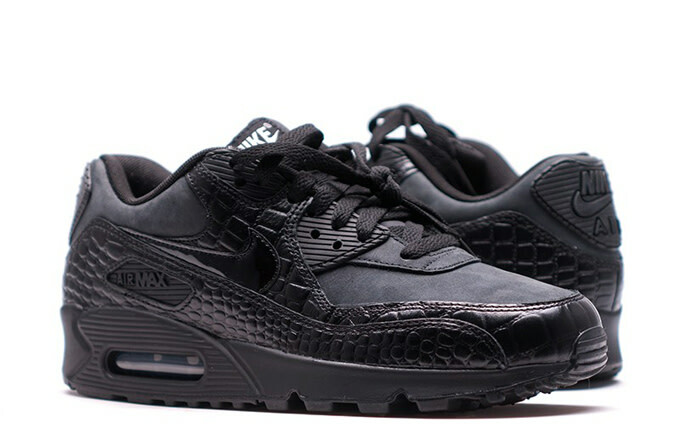 Featuring debossed crocodile patterned leather, black nubuck, and patent leather swooshes, these AM90s and AM1s have redefined “murdered out.” Or, maybe not since it’s not actual croc. Either way, they’ll take night creeping to a totally different level for the smaller footed among us, especially with those dark alphets. Look for these to drop in the Fall.